Since the establishment of a democratic South Africa, the country’s financial sector has been battling with a numbers of challenges, namely transformation of the sector, inequality, accessibility, labour disputes, an unstable political climate and other socio-economic issues. Playing a pivotal role in countering these challenges, the Association of Black Securities and Investment Professionals (ABSIP) has undertaken a position of advocacy and has been lobbying for transformation in the financial sector in South Africa. Supporting this notion is ABSIP’s annual conference and this year’s gathering, held at the Sandton Convention Centre, brought together an elite group of financial sector professionals who shared insights on economic transformation in their industry (focusing on the central theme ‘Economic Transformation for Social Change) and tackled challenges such as, inequality, accessibility, the political climate and other socio-economic issues. Established in 1995, ABSIP is a leading custodian of black professional interests and black business in the financial services sector. ABSIP Women in Focus (AWIF) is a chapter program of ABSIP and was launched in 2006 to focus on the development and nurturing of women in financial services sector. Through mentorship, coaching and leadership programmes, AWIF identifies and supports a pipeline of aspiring young women to become the future leaders of the financial services industry. Invited speakers included investment professionals, chief investment officers, corporate treasurers, pension trustees, institutional investors, investment management (banks), government and non-government officials such as Joel Netshitenzhe (Executive Director and Board Vice-Chairperson of the Mapungubwe Institute for Strategic Reflection), Trevor Manuel (former Minister of Finance and Deputy Chairperson of Rothschild in South Africa), Thuli Madonsela (former Public Protector) and Mcebisi Jonas (Deputy Minister of Finance). 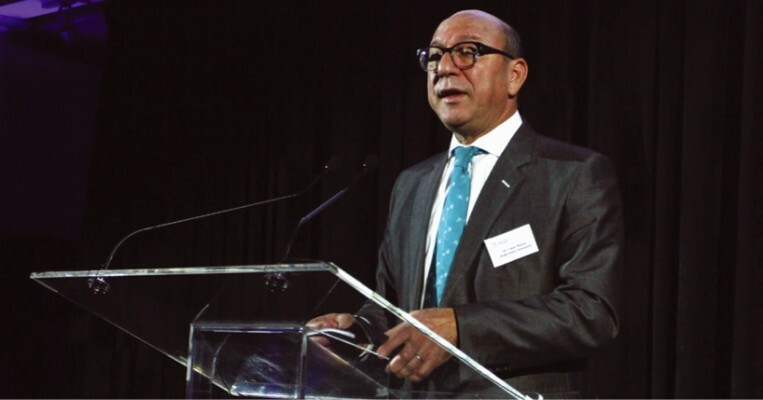 Speaking in his capacity as Deputy Chairperson of Rothschild in South Africa, Manuel said the events of the last few months have created so much flux, but hopefully future generations will look back on this, the year 2016, and mark it as important. According to him, it is during this year, the twentieth anniversary of our Constitution when the institutions of our democracy were tested and when they demonstrated their worth. “It is also the responsibility of our generation to ensure that the events of this period are etched in the collective memory of our nation. What needs to be remembered is the fact that our Constitution was tested repeatedly and extensively in 2016 and emerged time and again as the solid anchor for our democracy. I emphasise that our generation must take responsibility to ensure this because I am of the view that we were negligent in the period after we adopted our Constitution in 1996 to ensure that each young South African understands the constitution and internalises its values. This matter is fundamental as the basis for the discussion being held here on empowerment, which in my view is itself the product of our constitution, in a different way. “Empowerment is a critical imperative for South Africa to reverse the injustices of the past and that its implementation is therefore a constitutional requirement. In spite of 13 years of legislation and regulation and it being eight years since the introduction of the first B-BBEE codes, and an even longer history of discussion of empowerment charters and vast sums of money committed to B-BBEE, the evidence on performance suggests that the best endeavours have produced patchy outcomes, at best. “We must all also agree that to succeed at improving performance of both the ‘all of society’ and the business sector transformation, it is necessary to measure, evaluate performance and make the necessary adjustments. This is so because there is no textbook prescript for a project as large and complex as our transformation imperative. We must do all in our power to avoid the Christopher Columbus effect,” Manuel told delegates at the conference. The former Finance Minister is of the opinion that if we don't measure and evaluate, we too could end up in quite the wrong place. He said it is necessary to emphasise that if we want to stay on course, then we will need channels and institutions focused on such constant, open and honest conversation across many different segments. “We cannot resolve this matter with shouting matches, or poorly-advised social media campaigns. Nor can we resolve this through additional legislation and regulation which are frequently adopted with great fanfare, and not adequately monitored and deviations addressed. Madonsela, who spoke about ‘Ethical Leadership in Sustainable Economies’, railed against corruption both in government and the private sector. “We chose to replace the Apartheid Government not only because it was based on white superiority and exclusivity. We also chose to replace it because it was unethical, because it was entrenched in systemic corruption during apartheid. We chose to bring about a new order that was supposed to be based not just on the will of the people, and constitutionalism. This new order was supposed to bring about integrity, transparency, accountability and responsiveness to people's needs. This new order was about rewarding excellence and not rewarding patronage,” Madonsela said. She also criticised black empowerment in South Africa, saying giving ownership stakes in existing companies to politically connected individuals does not help to grow the economy. Mcebisi Jonas, Deputy Minister of Finance, called for a new national consensus in the country to prioritise economic growth and eradicate corruption in Government. He said continued Government investment in infrastructure will not in itself enable us to escape our low growth trap and South Africa needs to urgently increase levels of private sector investment in our economy. To do this, we require economic policy certainty and more deliberate efforts to reduce the costs and ease of doing business in South Africa. Referring to the Finance Minister’s Medium-term Budget Policy Statement (MTBPS), Jonas said the country is at cross-roads and continuation of our existing growth model, with its low growth and inherent structured inequalities, will increase spending pressures on welfare, social security and debt servicing. He said this is a scenario that we cannot entertain. “Since 1994 we have reduced the number of people living in extreme poverty from 41.1% to 21.5%. This is a huge achievement. This was the cornerstone of our ‘post-94 social bargain’—what we could call ‘redistribution through welfare’. This however is on a dangerous path of becoming unviable and is unravelling, due to low rates of economic growth, particularly since 2008 and limits to fiscal income that can be redistributed. “There is no doubt that the social bargain–especially the welfare spending component—brought significant social returns in reducing extreme poverty and vulnerability, and extending access to basic services. School enrolment and access to services such as sanitation and electricity have increased dramatically,” according to the Deputy Minister of Finance. Jonas told delegates that another major transformational outcome has been the creation of a black middle class, but, he said, this was mostly through state employment and we have been less successful in creating an entrepreneurial black middle class. “But social inequality has not reduced. We have not deracialised ownership of the economy, and our ambitious project of creating a developmental state has been hamstrung by patronage and corruption. Higher social returns have accrued to those already endowed with capital and skills. Our poor education and training outcomes have not helped. “It is increasingly evident that we need a new social bargain—a new consensus—to build a faster growing and more inclusive economy. This new social bargain should build on the great strengths we have as a country. We have strong institutions and a robust legal framework; we have well developed and deep capital markets; our share of GDP spending on infrastructure exceeds that of most other economies; we still have a good environment for business compared to many of our peers; and we are witnessing a renewed vigour from government, business and civil society for economic reforms,” according to Jonas. He said new institutional mechanisms for collective socio-economic governance and accountability will have to be developed as a matter of urgency. “We must address barriers to entry and deliberately enable increased black ownership of the economy. But this must be done through enhancing productivity and competitiveness, so that as we address anti-competitive behaviour among cartels, we do not negatively affect output, jobs and exports. Key initiatives we are driving to enable black ownership include using the PIC to inject R70 billion into agriculture, mining, manufacturing, infrastructure and energy. We are also prioritising SME support through our Gazelles programme, and have also just established an SME public-private Venture Capital Fund. Platforms such as ABSIP are critical for providing substance and leadership in our society,” he said. Other conference highlights included the Annual General Meeting to elect ABSIP’s executive committee and culminated to the ABSIP Financial Sector Awards to recognise and celebrate and honour top achievers within the sector. “These awards are aimed at inspiring and encouraging black talent to strive to reach the levels of the winners of the various categories. In essence we showcased role models that young, up-and-coming black financial sector people can learn from and aspire to be,” said Ramano. Daniel Matjila, CEO of the Public Investment Corporation (PIC) was recognised as CEO of the Decade and Philisiwe Mthethwa, CEO of the National Empowerment Fund, got the Woman of the Year accolade. 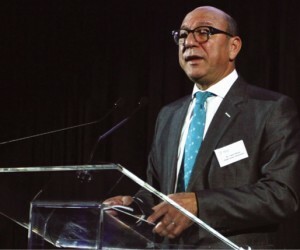 “Since taking the reigns of a century-old, R1.6-trillion fund, Matjila has showcased exceptional leadership skills in managing social and political pressure to deliver returns without incurring significant risks,” said Ramano. “Mrs Mthethwa has turned the NEF into a high-performing organisation that has seen over 540 black-owned and managed enterprises receive much-needed finance for start-up, expansion and equity acquisition purposes. "Under her stewardship, the NEF has joined forces with local and international investors in the quest to champion South Africa’s industrialisation by developing strategic and industrial-type projects valued in excess of R30 billion,” she said. Other winners included Ekurhuleni Metropolitan’s Ramasela Ganda (CFO of the Year), RMB’s Puso Manthata (Top Corporate Financier), ABSA Capital’s Mthokozisi Cyprian Mvubu (Top Dealer), Logan Neels from Mergence (Top Research Analyst), Milpark Education’s Tebogo Kopele (ABSIP Student of the Year) and Hedge Fund Academy (Emerging Women-owned Company in the FS sector). “These awards are aimed at inspiring and encouraging black talent to strive to reach the levels of the winners of the various categories. In essence we are showcasing role models that young, up-and-coming black financial sector people can learn from and aspire to be. “The everyday achievements of the recipients of these awards are testimony that the country has an abundance of skill and excellence that needs to be recognised, nurtured and harnessed for the betterment of our country’s economic development,” said Ramano.